Apple WWDC Event: Every year, the Apple Inc. (NASDAQ:AAPL) Worldwide Developers Conference is one that the company, as well as its many participants, look forward to. Earlier this morning, Apple published its official press release concerning the upcoming conference. Apple Inc. (NASDAQ:AAPL)’s event is going to take place from June 10 through June 13 at San Francisco’s Moscone West. During this five day conference, developers from one side of the globe to the next have the opportunity to “learn about the future of iOS and OS X.” This will give them the unique opportunity to have a leg up on the competition when creating Apple apps in the future. During the event, there will also be more than 100 technical sessions held by more than 1,000 of Apple Inc. (NASDAQ:AAPL)’s best engineers. This goes along with plenty of hands-on learning as well as design awards and much more. Are you interested in attending the conference? If so, you need to know that tickets go on sale Thursday, April 25 at 10 a.m. PDT. The reason why this is important is simple: tickets for past events, such as last year’s conference, sold out in a couple of hours. If you plan on attending, you have to act fast. As you can see, Schiller, as well as the entire Apple Inc. (NASDAQ:AAPL) team, is excited about the upcoming Worldwide Developers Conference and what it means to the people in attendance. What about the cost? While this is not mentioned in the official Apple Inc. press release, MacRumors is reporting that the cost of a ticket will be $1,599. This may sound like a lot of money, and it is, but what you get in return is five days worth of top notch training, networking, and education. If you want to learn more about purchasing, including pricing information, you can visit the Worldwide Developers Conference 2013 official website here. Do you plan on attending this Apple conference? Have you done so in the past? Share your thoughts in the comment section below. 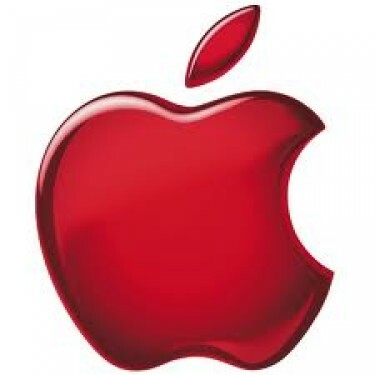 Apple Inc. (AAPL): This Next Round of Cash is On Us! What Were Apple’s Earnings? Facts, Figures, Quotes Apple Inc. (AAPL): 4 Revealing Comments From Today’s Q&A Session Apple Inc. (AAPL), Corning Incorporated (GLW): Technology, Growth, and Dividends... Apple Inc. (AAPL): Reports of Its Demise Have Been Greatly Exaggerated Apple Inc. (AAPL): Is a 12 MP Camera a Game Changer for iPhone 5S?